New to our work? New to our website? Interested in spiritual awakening and healing? Want change from the inside out, a do over? Want to get your feet wet? Something easy? We offer Meditation, Mantra and Tantra as ways of overcoming the spiritual obstacles that prevent our soul's deepest needs and fulfillment. We've been teaching for 30 years at some of the most respected educational institutions in the US and internationally. Review our offerings to learn how we can help enhance your spiritual life and wellness. In our School, the study of Meditation, Mantra and Tantra is not a linear approach. You can enter into it at whatever stage of the spiritual journey you are at, with your specific issues and particular spiritual obstacles you wish to overcome, and goals you wish to pursue. If your consciousness is constantly affected by fear, anger, anxiety, sadness, frustration, then Meditation, Mantra and Tantra can help. Meditation, Mantra and Tantra are ancient spiritual tools that offers us extraordinary possibilities for the cultivation, transformation and development of our spiritual consciousness. Inappropriate fight, flight, freeze responses can and does interfere with our higher evolution. Meditation, Mantra and Tantra are powerful ways to cultivate higher consciousness, offering us a path towards wellness, healing and wholeness, by recovering what it means to be both human and divine while taking into account that we also have lower, animal instincts that require our awareness and transformation. Our expertise uses Meditation, Mantra and Tantra as a form of spiritual alchemy, that is, to transform our lower, instinctual nature into higher, spiritual sensitivities. This is the metaphor of changing copper into gold that ancient alchemists took literally. In our school, we work on our selves, our own nature, not some external object. And, in doing so, we effectively learn how to become free of the past, so that our past experiences are not eating away at our present happiness. ​In our approach to spirituality, we actively seek to understand, realize, develop and fulfill the total Self, that is, in all its dimensions. We look to integrate the physical, psychological, psychic, spiritual, emotional, mental dimensions together with states of consciousness that are accessed through the types of practices we teach, which is why we seek to develop perspective and presence along with our practice. We are not interested in spiritual practice for its own sake, because spiritual practice can be used to run away from our emotional pain and the problems it can causes in our lives, eating away at our capacity for joy. While there is value in using spiritual practice to gain respite from our pain, in our approach, we will be teaching how to use spiritual practice together with perspective and presence to get to the roots of our pain and our problems and address in ways that are deeper and more thorough. ​Please keep in mind that our approach is not in place of therapy or medical treatment for any condition. Psychotherapy and medical science offer us amazing possibilities to heal and deal with various conditions. What we offer in our school is a spiritual dimension to wellness and an understanding of the self that seeks a deeper fulfillment in life. "Affairs are now soul size! The enterprise is exploration into God. Many of us have had negative experiences in childhood, or adulthood, that has configured our brains in not the best ways, for we may have unconsciously formulated patterns of thought and behavior around such experiences that now prevent us from living our best lives. We may find it hard to sustain deep and joyous states of consciousness. Or we may have difficulty accessing deep spiritual states. What is often the case, and we may not consciously realize it, is that the coping mechanisms of our brain, though well intentioned by nature, can be negatively affecting our present moment capacity to absorb experiences. The Golden Path is my newest and most effective method that applies The Yoga of Sound, both Mantra and Tantra to this process. And it can be streamlined effectively so that we can heal the emotional wounds that affect our spiritual enlightenment. This type of healing process cannot take the place of therapy or medication, but it can fill a gap. Russill teaches spiritual practice to help overcome spiritual obstacles, to transform negative energies, and to connect deeply to oneself and with the divine. For him, God, or Spirit, is not an idea, but an experience. In his book, Jesus in the Lotus, he describes the intensity of his spiritual breakthrough that lasted non-stop for three whole months. Although he is quite knowledgeable about Christian mysticism, having grown up in a Catholic home and having lived as a Benedictine monk for 5 years, his expertise and his own practice is steeped in the Indian spiritual tradition. His main tools are Meditation, Mantra and Tantra that he discovered during his training as a monk in India and which he has taught at the graduate and post-graduate levels as well on conference stages around the world that he has shared with the great spiritual luminaries of our time. He has discovered Mantra and Tantra to be powerful aids to meditation because they help overcome obstacles to meditation by addressing underlying conditions, such as, distraction, restlessness, and negative emotions. He teaches how to use spiritual tools help to cultivate a calmness of mind by healing the heart of its emotional wounds. Mantra and Tantra is not for everyone, but these powerful tools can be coupled with Meditation and streamlined and adapted to address a person's specific needs taking into consideration their specific spiritual proclivities, including his or her core beliefs. Mantra and Tantra can help with deeply lodged energy patterns known as saṁskāras (behavioral traits from the perspective of Karma), which are often problematic because of the residual effects of negative life experiences that remain with us until we transform outmoded mental patterns. Mantra and Tantra can also be used to increase the quality and quantity of our energy. We need nourishment for our soul, and mantras are vibrations that enhance our spiritual states of consciousness. They also awaken energy in our spiritual energy centers, the chakras, to facilitate powerful transformations in our lives. Most of all, Mantra and Tantra quite effective in dealing with the residual effects of trauma, for healing deep spiritual wounds (grief, loss, painful experiences); to address various kinds of restlessness in our soul (that can sometimes show up as anxiety); to deal with states of spiritual disempowerment (that can sometimes show up as depression or sadness); and to enhance our relationships that can otherwise be negatively affected because we have not dealt with our own pain sufficiently. Keep in mind that Russill is neither a psychotherapist nor a trained medical professional. His approach is spiritual and does not take the place of medication, treatment or therapy. Not only does he have 30 years of teaching experience in the US and internationally at many prestigious and respected educational institutions, but he also uses Mantra and Tantra effectively in dealing with his own childhood trauma. 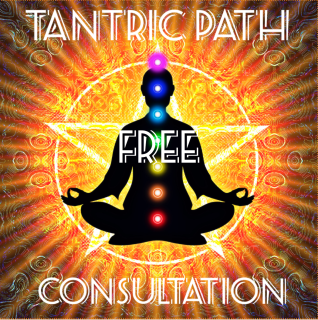 The Tantric Path is for anyone who needs a dynamic solution to their spiritual conditions and problems that are causing obstruction in their life and preventing happiness and a deep fulfillment in the soul. 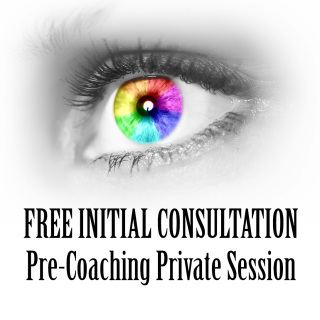 Request a Free Consultation to discern which program or training is a best for you now. Receive a face-to-face, 20-minute, private consultation via Skype or Zoom video conferencing to help you discern which is the best track for you at this time. After the session, apply your consultation deposit towards any of our tracks or trainings. If you are unsatisfied, request a complete refund. One rescheduling allowed with up to 48 hours advance notice. If you miss the session, you receive program recommendations via an exclusive video presentation prepared for in response to the questionnaire you fill out. By purchasing, you accept our student agreement. Spirituality without proper diet, lifestyle and clear and right thinking outside of our times of spiritual practice is not a holistic approach to life. ​If you are looking for a well rounded spiritual approach, your overall wellness must be taken into account. Asha Paul has consummate skills in this area. Asha's introduction to the power of nutrition happened in 1990 when she found, herself inadvertently caring back to health our then 84 year old mentor Bede Griffiths, who was suffering from a debilitating heart condition. However her pursuit of studies in holistic health took place from 1995, following her own health issues. Her approach to Health coaching, is based on the fundamental principle that our physical bodies are sacred temples and that we each have incarnated to fulfill a magnificent and Divine purpose. Hence her approach is to support the whole person. She addresses 12 areas including spirituality, relationships, home environment, career/lifework. What she can do for you: As a wellness authority, Asha plays a supportive role in your wellness, helping you feel your best through food, spirituality and lifestyle enhancements tailored to your individualized goals and needs, including effective weight management, having a healthy body image and stress management. About your health coach: Asha's health coaching training comes from the Institute for Integrative Nutrition, the only school of its kind to integrate a full spectrum of dietary theories. IIN is not just a school, but a movement that is working to reverse the health crisis that we are in today. In addition to her health coaching training, she has also been a lifelong student of meditation, metaphysics, Eastern and Western Spirituality, and positive psychology. She has been and continues to manage our work full time and is well aware of life, work and play balance for deep transformation and to thrive in life. 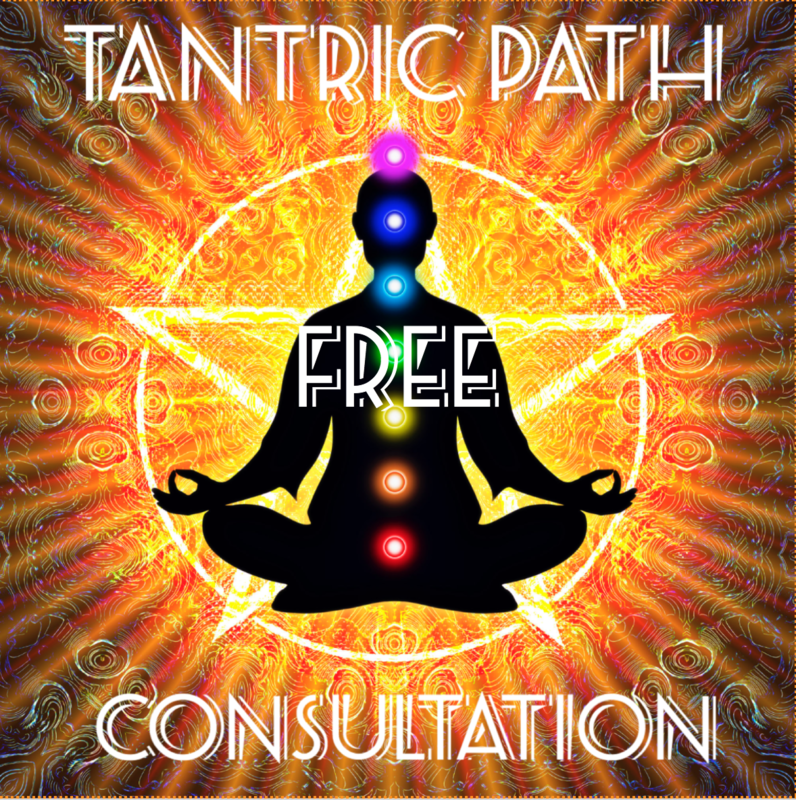 Free initial Consult: To request your free initial consult, please connect with her through the contact button below. Private One-on-one Spiritual Coaching is the most intimate, most powerful, and most popular method our students have of studying closely with Russill to develop their inner and outer life. Check out the testimonials from current and prior students. With private one-on-one coaching, he works with students closely to help them create their best life using his knowledge of Meditation, Mantra, Tantra, Indian spirituality and extensive teaching experience worldwide over the last 29 years. An effective questionnaire helps maximize the power of this 20-minute, face-to-face, session. After the session, your satisfaction is guaranteed with a full refund. There is no refund if you don’t show for the scheduled consultation, or fail to reschedule within a 48-hour notice. One rescheduling is allowed. However, with our no loss policy, your $35 deposit can be used towards any online course, program, training, coaching session, or coaching package. Our standard Student Agreement applies. Because the study of Meditation, Mantra and Tantra is not a linear approach, you can begin with whatever calls you the most at this time. While our membership is a great way to build your perspective and sample content from many of our courses and trainings, we have three main tracks at what we call the practitioner level, which is beginner level. Our Spiritual Makeover is great for anyone who is just beginning their study with us. It is helpful if you wish to deepen your inner life and activate your soul's vision. Our Sound Healing is for anyone who wants to study the healing applications of sacred sound in the ways used in Tantric tradition along with Nada Yoga, The Yoga of Sound..
Our Mastery of Mantra training is essential for anyone serious about advancing to higher levels of spiritual experience as well as for teachers of yoga and meditation. For students familiar with our work, and those who have taken our online programs or trainings previously, we now have advanced trainings in Meditation, Mantra, and Tantra that offer even deeper levels of healing and empowerment. This is the Power Level. At this level, we teach advanced practices for healing deep aspects of self and to integrate the residual effects of difficult life experiences. These practices help us heal as well as rekindle our relationship with the sacred masculine and divine feminine. We have two tracks for those who wish to advance to the Power Level that teaches you how to become a spiritual channel that mediates between the visible and invisible worlds. If you are interested, message us. This is our highest level of study and training, offering specialized and sophisticated practices of Meditation, Mantra and Tantra. While we offer this mainly to our senior most students, we can also put you on a fast track to advance rapidly towards our most powerful trainings. 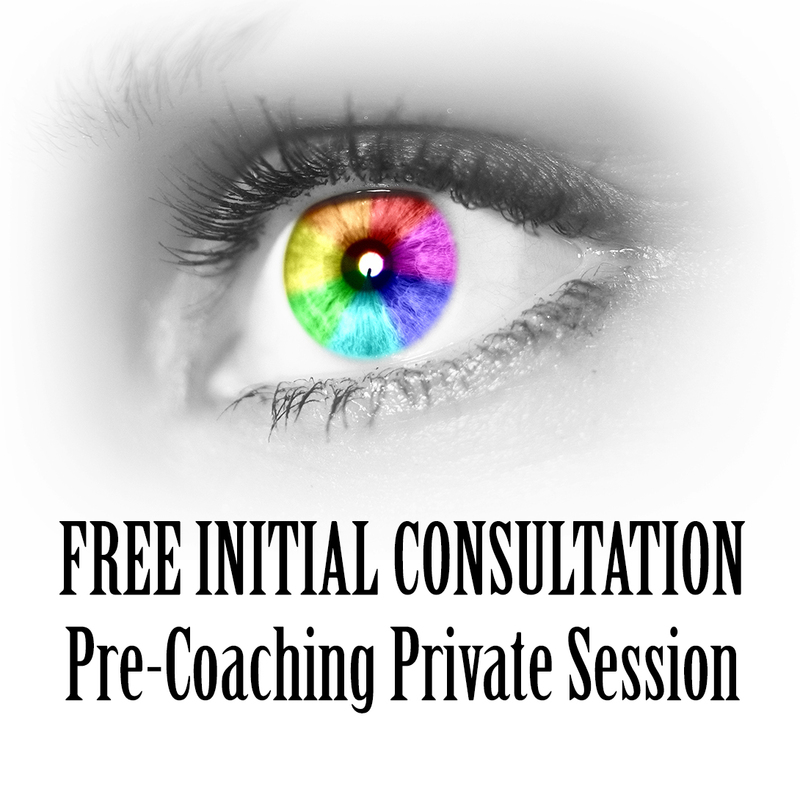 Please set up a a free, pre-coaching consultation to discuss the best approach for you. Our Wisdom Circle is for those who wish to be teachers in their own right. We help you in the development of higher consciousness and can even help you with creating your own circle of students and followers. Join us live in Austin, Texas, where we make our home to study and practice with us and our senior students October 25, 26, 27 of 2019 at the beautiful Renaissance Hotel in the Arboretum. In 2019, we are excited to offer our third live retreat for students in our online Yogic Mystery School and School of Mantra to support our robust online programs and trainings on Mantra and Tantra. Keep in mind that ours is an inter-spiritual approach. We draw from the world's great spiritualities to inform our perspective and practice. If you desire an accelerated immersion into the depth and scope of what we offer, travel with us to India on our annual chanting pilgrimage and mediation retreat. You can stay with us for a whole month there, study and practice with us every day, experience the temples and holy places where we have had our most profound spiritual experiences, and return refreshed and renewed to your home country. We have conducted this experience for 20 years. ​Yogic Mystery School ™ was founded in 2008 and presently offers the student my almost 30 years of professional experience in teaching spirituality at the highest levels of education, study in the ancient and authentic traditions of Indian spirituality, and world-renowned exposure in the music industry and literary fields. After 15 years of teaching spirituality in graduate and doctorate spirituality programs, in addition to presenting through seminars, conferences, workshops and retreat throughout the US, Canada and internationally, I founded Yogic Mystery School ™ to offer online courses through sustained engagement with students, facilitating depth learning and experience through an exclusive curriculum, and training students skillfully in the spiritual techniques that I had myself practiced and honed over decades. The essence of my work has always been the relationship between sound and consciousness. Although I came to this experience as musician, yogi and philosopher, the process took on related areas, such as the expression of the speaking voice in addition to the chanting voice and singing voice. The Yoga of Sound is my unique platform, and I embody it in its full scope, from the Vedic, Tantric and Bhakti traditions, to the fourth, and least known tradition, of Nada Yoga. What is unique to my approach is the combination of world-class musicianship together with rigorous scholarship and immersion in monastic practice. My CD series on The Yoga of Music and Chant through The Relaxation Company (now on Sounds True) displays the depth of the vibrational experience I can communicate. And my books, The Yoga of Sound: Tapping the Hidden Power of Music and Chant, and Jesus in the Lotus: The Mystical Doorway Between Christianity and Yogic Spirituality, both published through New World Library, demonstrates my knowledge as a scholar, monk and yogi. Now, after almost three decades of teaching in America, and worldwide, at some of the most highly respected educational institutions in the world, I have developed an extensive and exclusive curriculum for Yogic Mystery School ™. The umbrella under which I now share the full scope of my knowledge is that of The Tantric Path. This is a spiritual lifestyle that brings together healing, enlightenment and transformation in dynamic relationship with one another. My wife, Asha, and I, who have been married for 29 years, have been practicing a branch of Tantra known as Sri Vidya that is both ancient and secretive. Our mission now is to share a version of Tantra with others to create a healthy and holistic spiritual model for the new millennium. We want to be innovative in helping westerners gain the most from this path while being grounded in tradition. This is our vision: the total transformation of self through a healthy lifestyle and through integrating high levels of spiritual consciousness in daily life, while being engaged in the world. ​Each year, for the past 20 years, we take a group of our students to India, to immerse in the experiences and environments that have fed our spiritual lives.